Our express 30 minute Pedicure is perfect for top up maintenance and or for someone with not a lot of time to spare. The treatment includes nail filing, nail buffing and or paint. Your feet are also given a moisturising cream to keep them supple and revitalised. Our Pedipeel treatment solution is applied to the soles and heels of your feet to remove dead skin to alleviate cracked heels and very dry skin. This is a more intensive treatment compared to just manually exfoliating the area. It can be performed as a stand alone treatment or combined as an add on with either of our Pedicure services. 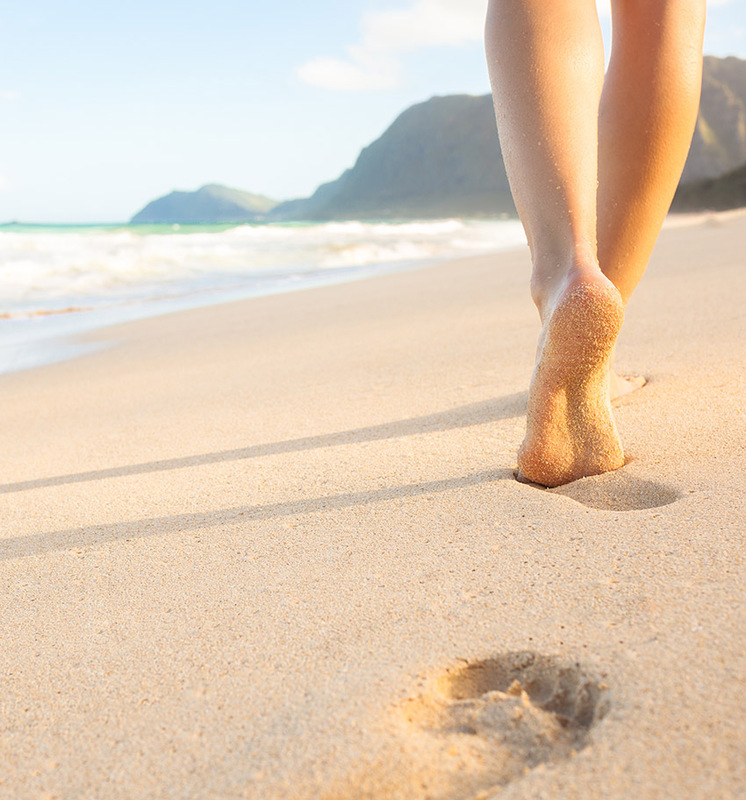 Take you feet on a holiday for 60 minutes and regain that spring in your step! This treatment will leave your feet feeling and looking like new. Experience a dead sea salt scrub from your knees down to your toes, heel and foot pad exfoliation, a clay mask, and a moisturising hydrating cream massage for total relaxation. Nails are completely overhauled with nail filing, cuticle care, nail buffing and or paint.